The introduction of the Streamlight 88040 ProTac HL Professional in late March 2012 is a blessing in disguise for those who are thinking twice on what to purchase. The reception from the public on this product is truly impressive, making this product one of the best-sellers in Amazon. Simply put, this tactical light is just; you are right, simple in design, construction and operation but powerful enough to give the brightest light. No elaborate operation that may confuse users during emergencies. Just brilliant! See Price At Amazon.com Read Customer Reviews At Amazon.com! Years ago, tactical flashlights were basically designed for military use, nowadays; they are re-invented to serve not only the military elite but also the law enforcers, professionals and civilians who also need this kind of flashlight (also called “torch” outside North America) during emergencies, calamities and any situation where artificial light is needed. This type of torch was originally developed to be mounted on weapons such as guns and rifles to illuminate the holder during night assault or combat. Today, civilians could use this specialized flashlight in their everyday lives such as in homes, cars, offices, schools and practically everywhere when the need arises. 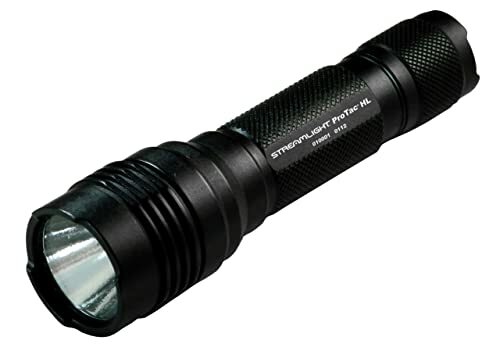 The Streamlight 88040 ProTac HL Professional Tactical Light is no exception. This tactical light is produced by one of the world’s premier manufacturer, Streamlight. Check out these amazing facts about this flashlight and decide for yourself if you need one or more. The 88040 ProTac has 3 basic modes; all are packed with useable functions in sequence. The modes are simplified to give user the ease and un-confusing utility during emergencies. The modes are: High-Medium-Low. By pressing the soft tail switch once, you get the high mode. This mode delivers 600 Lumens of brightness. Pressing twice, you produce the Medium-mode which is the strobe beam. Pressing trice, you got the low lighting, ideal for nearby searches. This product is just one of the handfuls of items that use the C4 LED Technology and the latest in the industry. C4 is a white LED that produces blinding and more powerful light comparable to a spot light; only this has a way too smaller bulb. The technology also prolongs the life of the LED by more than twice compared to ordinary LED used by other brands. Additionally, this technology makes the LED more unbreakable because the bulb does not have filament or glass unlike ordinary incandescent bulbs. This model is the brightest among the ProTac Series of Streamlight. Although rated at 600 Lumens, the LED could go as far as 750 Lumens of blinding light made possible by the Solid State Power Regulation which provides maximum power output throughout the life of the battery. Weighing only 0.35 lb. and measuring 5.25 inches in length and 1.4 inches in diameter, this product is one of the lightest in the industry. Surely, a small but terrible one at that! A truly tiny one with a powerful output! At this dimension and measurement, the torch is really handy and portable where you can carry or put it anywhere: in your backpack, handbags, in a small cabinet at home and virtually anywhere you want with ease and comfort. The light also includes pocket clip (removable) and holster. The ten-tap programmable system is an option you can use in operating this torch. Using this system, you can program the light from the standard default option to the sequence you want. Just tap the switch at the tail cap: whether you want strobe, low/high or high only. You can learn more of the options by reading the User’s Manual that comes together with the package. The material for this small wonder comes from aircraft-grade aluminum (battery compartment and spring, among others) which is non-corrosive and vibration-free and proven shock-proof when assembled. The anti-corrosive property of aluminum prolongs the life of the assembly where rust never worn out the parts. Owners will be delighted to know that this tiny guy will serve them for years or decades, rain or shine, snowy or not. The clear lens of the ProTac HL is made from cutting-edge technology and durable clear glass that never fades and shatters in overtime use. Moisture does not accumulate inside of the glass lens whether it is too hot or extremely cold outside. The package comes with free 2 units of type CR123 alkaline batteries ready to use anytime. The batteries operate at only 6-volts but could create blinding lights, it’s not a miracle, and it is purely electrical power! Compact Design: This super-light flashlight is compact in design and has a perfect weight-to-size ratio giving it the balance and equilibrium a good torch has to be handled. Now at an Affordable Price: Amazon had recently slashed the price of the Streamlight 88040 ProTac Tactical Light by more than 45% from its original price, the product is now more affordable than most of the nearest competitors of this type of torch, with almost similar qualities and features but in some cases, this product surpassed those brands with higher price. Anti-roll Face Cap: The face cap is provided with flap enabling the torch not to roll when placed in a flat surface. This advance feature makes the light visible and could be seen quickly when put in a table, tabletops, drawers and anywhere it could be grabbed and seen easily during emergencies. 6-Volt Operation: The ProTac HL Tactical Light operates only at 6-Volt, one of the lowest power consumption of this type of flashlight. Single-type Battery: Unlike dual-battery system of other brands, this torch is only capable of using one type of battery on its compartment. However, you could use this feature to your advantage, wherein you could have spares of only one kind, this way, you will not be confused as to what type of battery you should use compared to dual-systems. The Streamlight 88040 ProTac HL Professional Tactical Light is as handy as your biggest sign pen, as small as your mobile phone and it fits your pocket. This small wonder though can lighten up even the loneliest room and the farthest forest in the countryside. 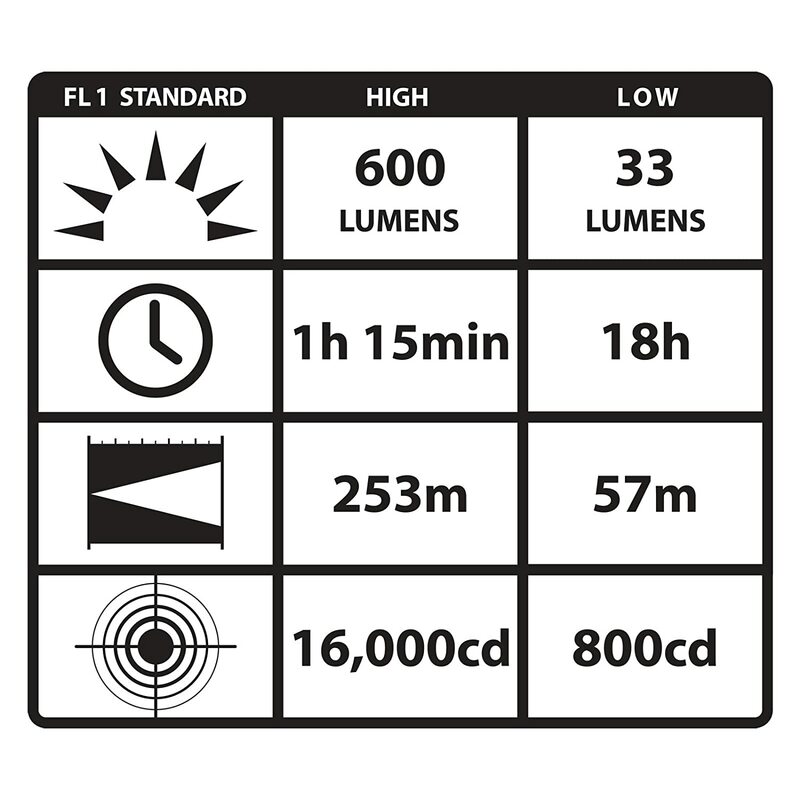 Its blinding light is one of a kind that you could certainly use for wide-area searches. Overall, this tactical light is very versatile, you should have one right now.